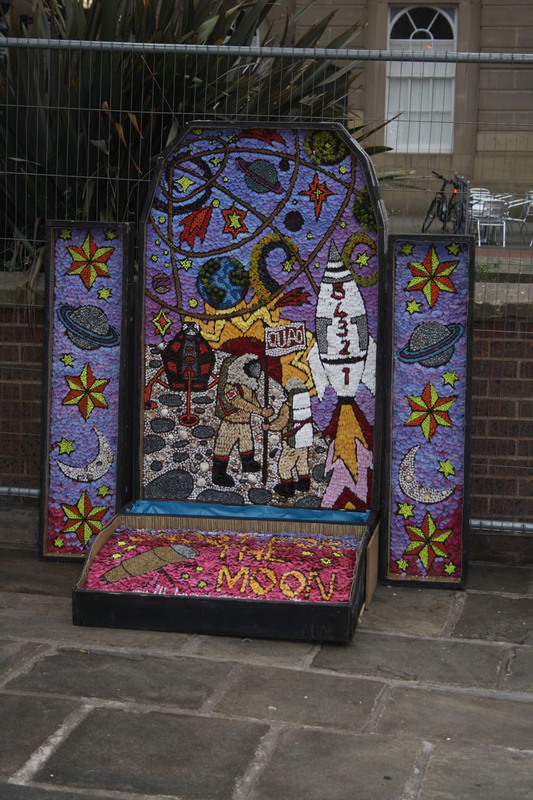 To celebrate both the 40th anniversary of the first moon landing as well as the International Year of Astronomy the Derby City Well Dressing for 2009 had a space theme. 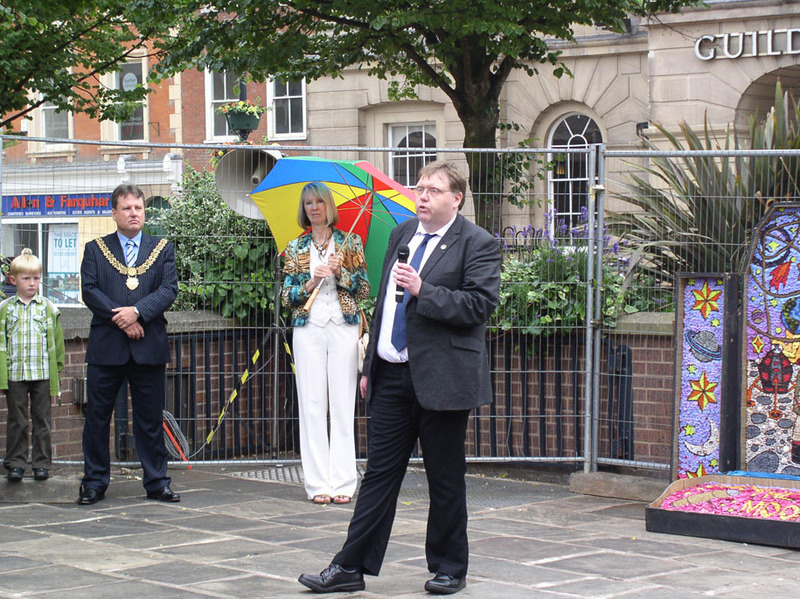 The well dressing is organised by Derby City Council in conjunction with QUAD Derby and this year the DDAS was invited to take part. 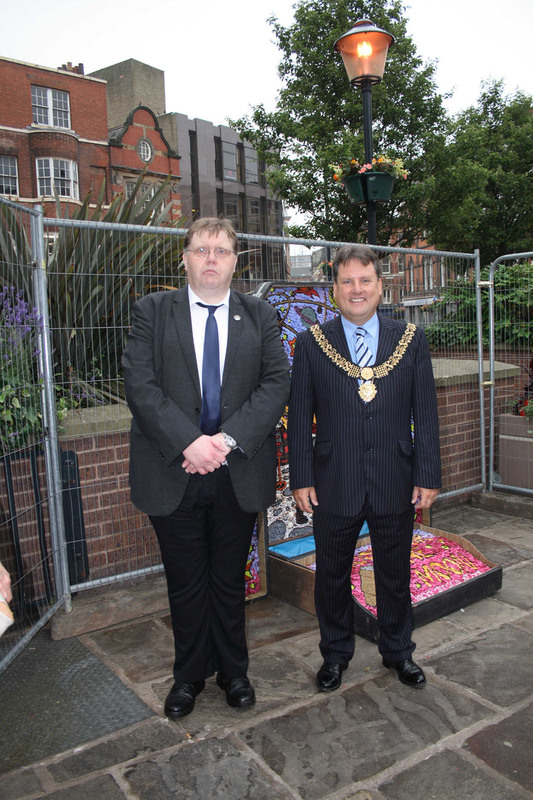 The well dressing itself was formally opened on Saturday 27th June by renowned local artist Pollyanna Pickering, together with the Mayor of Derby Sean Marshall. During the opening ceremony DDAS Chairman Anthony Southwell had the opportunity to say a few words about the first moon landing as well as the Society. Throughout the rest of the day the DDAS had a display in the QUAD highlighting the Society’s activities, with examples of member’s astrophotography, the Society’s LX-90 telescope, our moon globe, a collection of meteorites brought by DDAS member Graham Ensor, information on the Apollo programme, and impressive models of the Saturn V rocket and Lunar Module built by Anthony. The wall mounted display of member’s astrophotography, DDAS and Apollo information had also been exhibited in the QUAD during the week leading up to the well dressing ceremony, while the well dressing itself was constructed inside the QUAD. Also on the Saturday a number of stills and video sequences from Apollo, chosen by Anthony, were displayed on the big screen in the Market Place. DDAS Chairman Anthony Southwell says a few words about Apollo at the opening ceremony. Picture by Mike Lancaster. DDAS Chairman Anthony Southwell with the Mayor of Derby Sean Marshall at the opening ceremony. Picture by Chris Newsome. The well dressing. Picture by Chris Newsome. 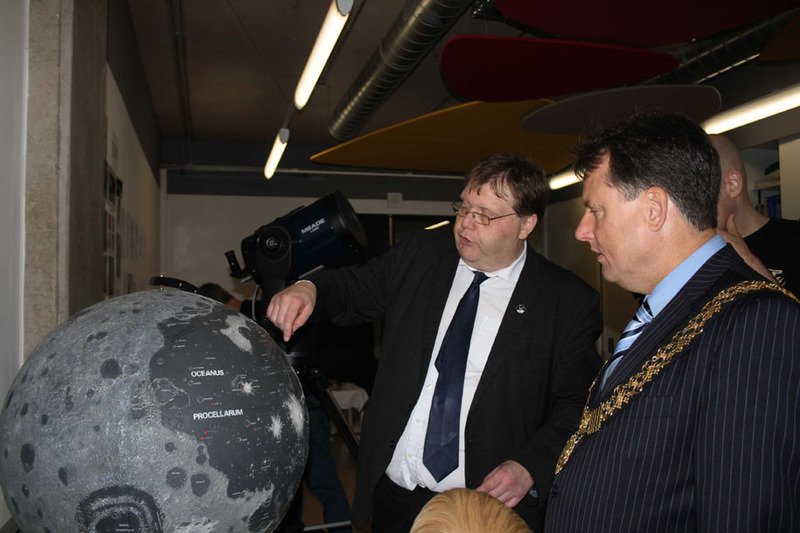 DDAS Chairman Anthony Southwell points out the signatures of Apollo astronauts on our moon globe to the Mayor of Derby Sean Marshall. Picture by Chris Newsome. 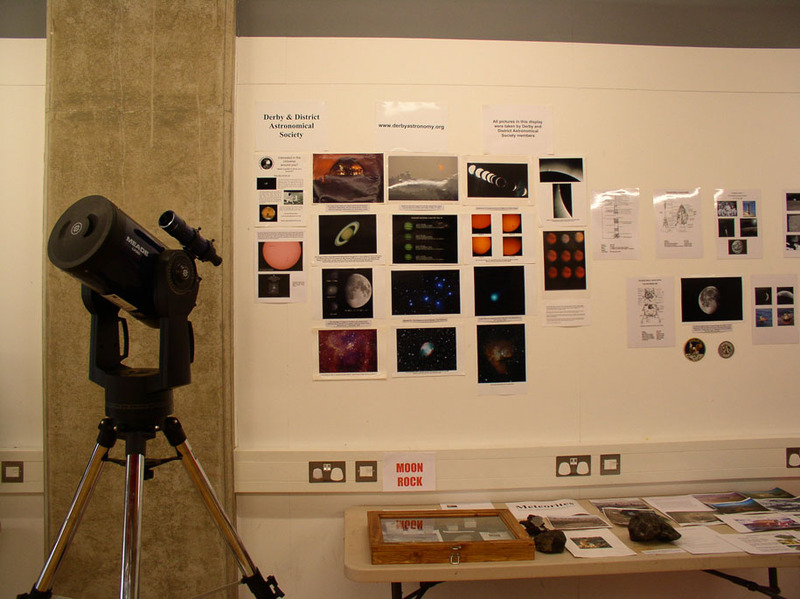 The DDAS LX-90 telescope, member's astrophotography, information on Apollo, and meteorites from Graham Ensor's collection (including moon rock) at our display inside the QUAD. Picture by Mike Lancaster. 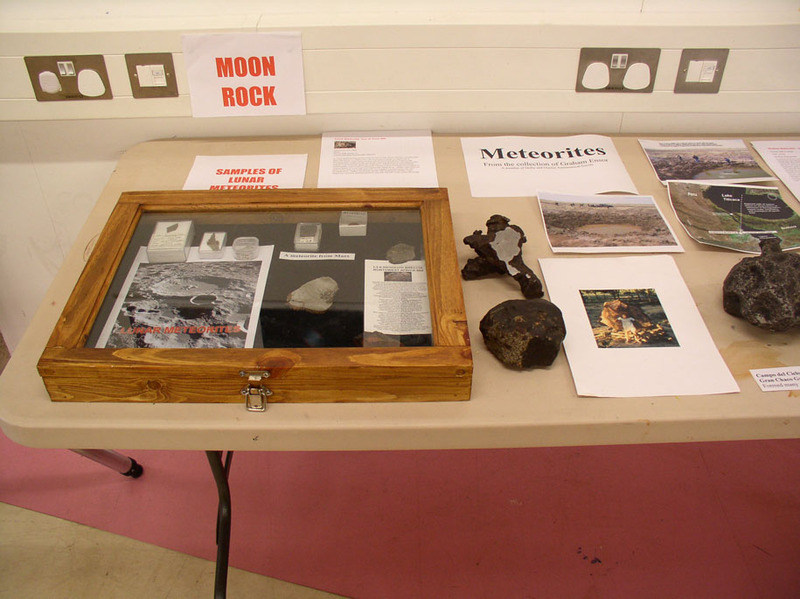 Meteorites from Graham Ensor's collection (including moon rock) at our display inside the QUAD. Picture by Mike Lancaster. 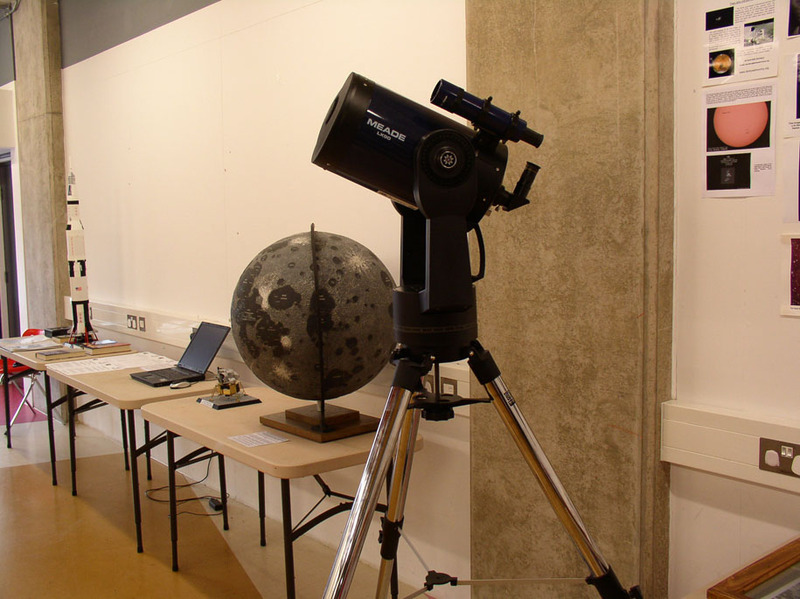 The DDAS LX-90 telescope and our moon globe at the display inside the QUAD. Picture by Mike Lancaster. 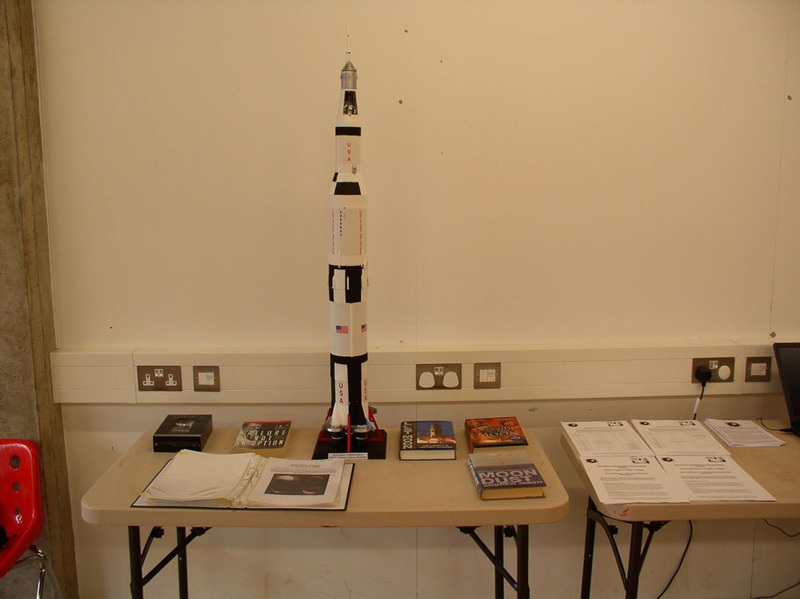 Apollo Saturn V model and a collection of Apollo books provided by Anthony Southwell. Picture by Mike Lancaster. 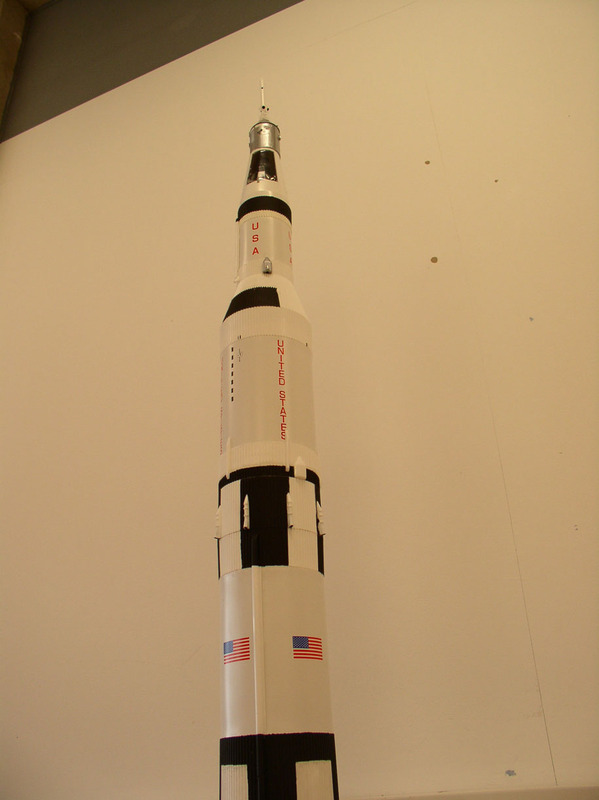 "...we have cleared the tower..." Apollo Saturn V model constructed by Anthony Southwell. Picture by Mike Lancaster. 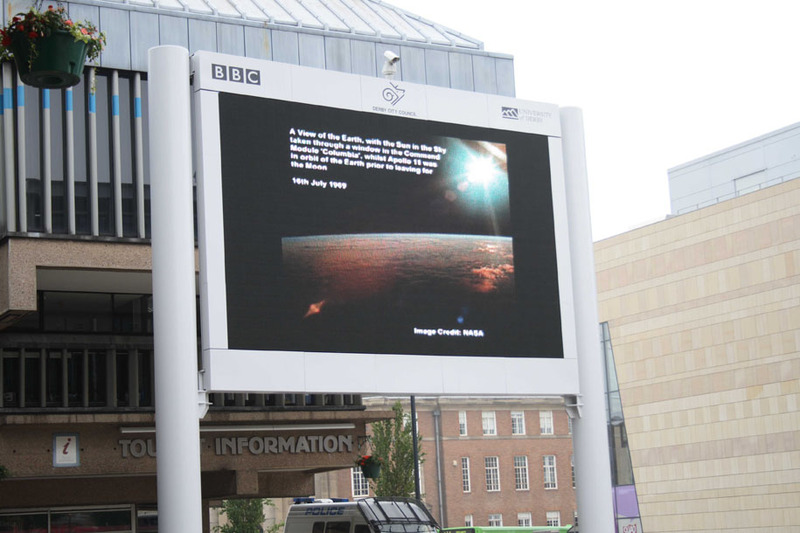 Stills and videos selected by Anthony Southwell from Apollo 11 are shown on the big screen in Derby Market Place. Picture by Chris Newsome.